This is an overview of the geological subdivisions of the Romanian Carpathian Mountains. 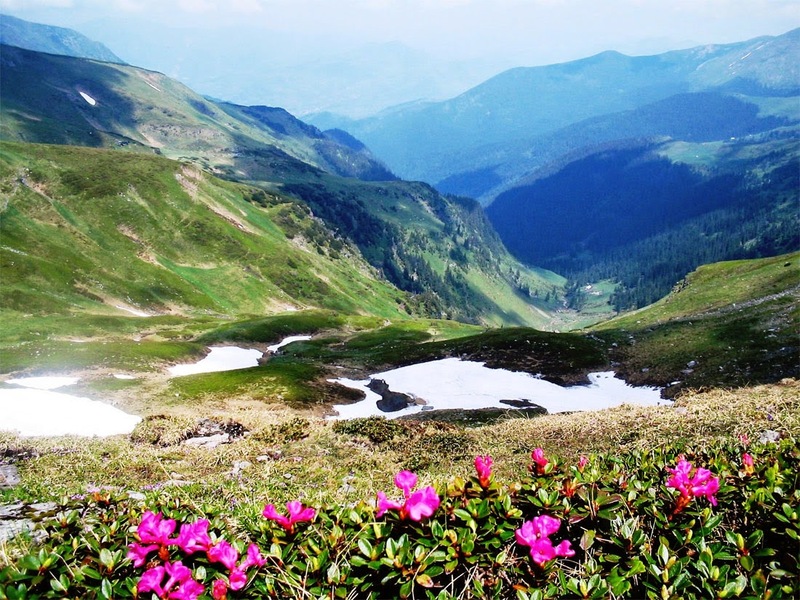 The Carpathians are a "subsystem" of the Alps-Himalaya System and are further divided into "provinces" and "subprovinces". The broadest divisions are shown in the map on the right. The last level of the division, i.e. 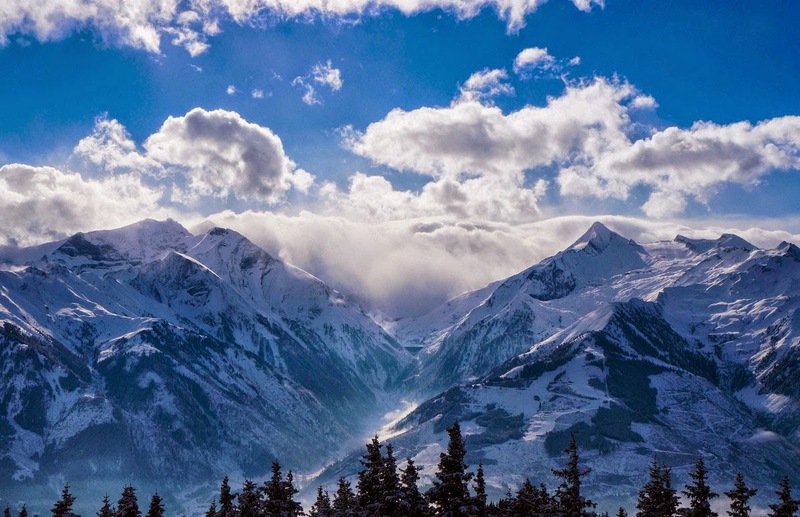 the actual mountain ranges and basins, is usually called "units". The lowest-level detail for those units is maintained on separate pages. Traditional Romanian naming conventions differ from this list. In Romania, it is usual to divide the Eastern Carpathians in Romanian territory into three geographical groups (North, Centre, South), instead in Outer and Inner Eastern Carpathians. The Transylvanian Plateau is encircled by, and geologically a part of, the Carpathians, but it is not a mountainous region and its inclusion is disputed in some sources. Its features are included below. 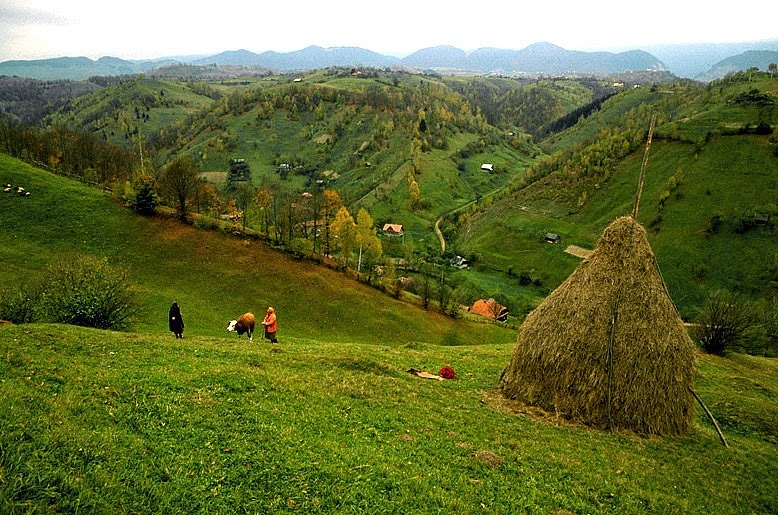 The Outer Carpathian Depressions lay outside the broad arc of the entire formation and are usually listed as part of the individual divisions of the Carpathian Mountains,of Western Carpathians, Eastern Carpathians etc. 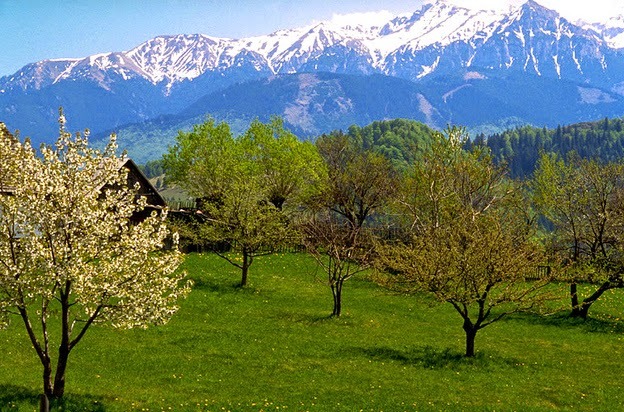 The Carpathian Mountains or Carpathians are a range of mountains forming an arc roughly 1,500 km (932 mi) long across Central and Eastern Europe, making them the second-longest mountain range in Europe (after the Scandinavian Mountains, 1,700 km (1,056 mi)). European populations of brown bears, wolves, chamois and lynxes, with the highest concentration in Romania, as well as over one third of all European plant species. 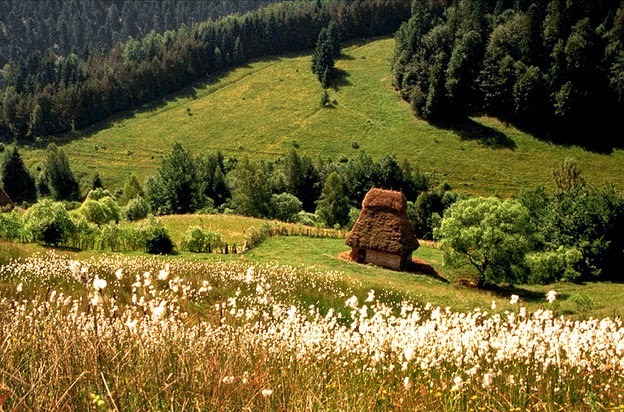 The Carpathians and their foothills also have many thermal and mineral waters, with Romania having one-third of the European total.Romania is likewise home to the largest surface of virgin forests in Europe (excluding Russia), totaling 250,000 hectares (65%), most of them in the Carpathians, with the Southern Carpathians constituting Europe’s largest unfragmented forested area. 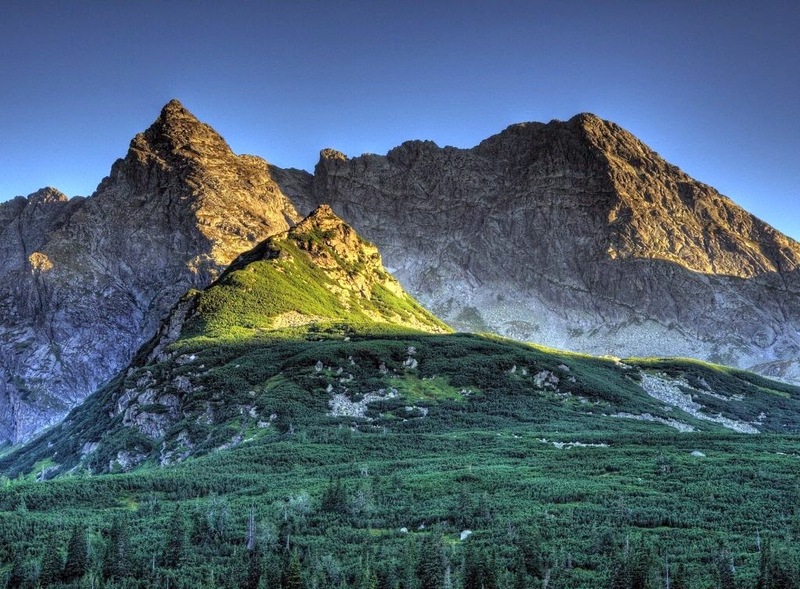 The name "Carpathian" may have been derived from Carpi, a Dacian tribe. According to Zosimus, this tribe lived until 381 on the eastern Carpathian slopes. The word could come from an Indo-European word meaning "rock". 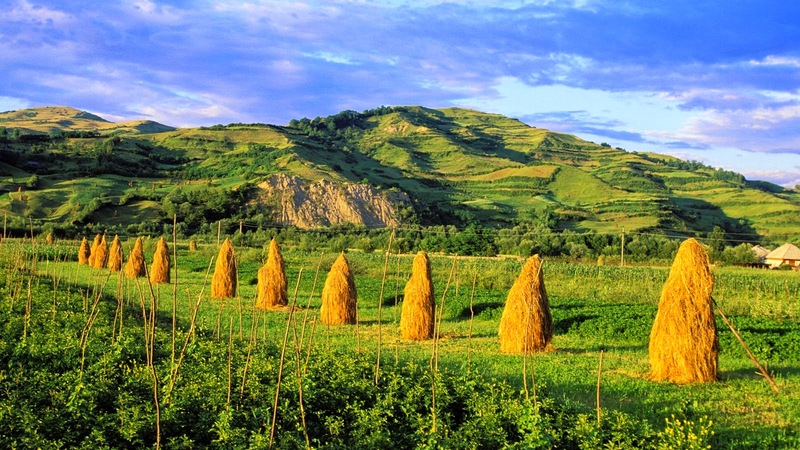 In Thracian means "rocky mountain". The Carpi tribe may be similar to or identical to another tribe which lived in the area called the Carpodaces, literally "the Carpi Dacians". 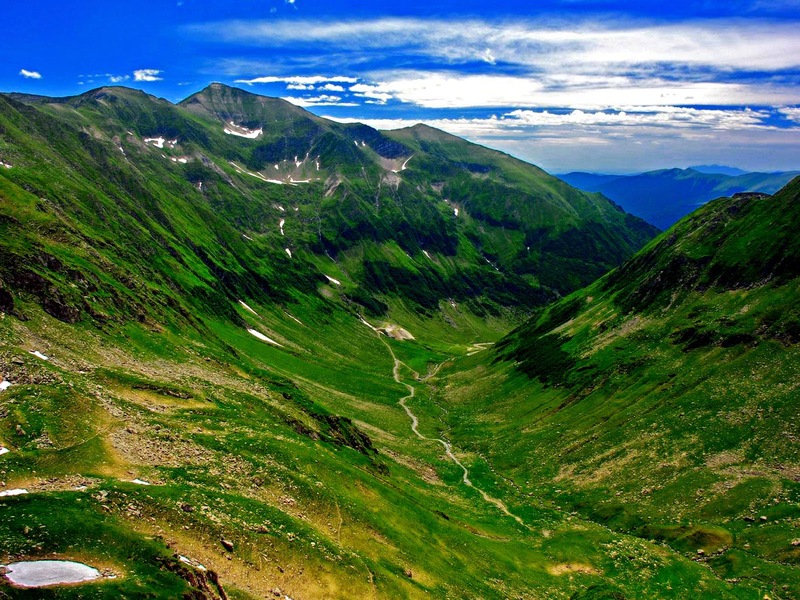 In late Roman documents, the Eastern Carpathian Mountains were referred to as Montes Sarmatici (meaning Sarmatian Mountains). The Western Carpathians were called Carpates, a name that is first recorded in Ptolemy's Geographia (2nd century AD).The area now occupied by the Carpathians was once occupied by smaller ocean basins. The Carpathian mountains were formed during the Alpine orogeny in the Mesozoic and Tertiary by moving the ALCAPA, Tisza and Dacia plates over subducting oceanic crust (see maps). The mountains take the form of a fold and thrust belt with generally north vergence in the western segment, northeast to east vergence in the eastern portion and southeast vergence in the southern portion.